We haven't had much of a chance to enjoy the cherry blossoms this year, the weekends either we have been busy or the rain has washed the day out. 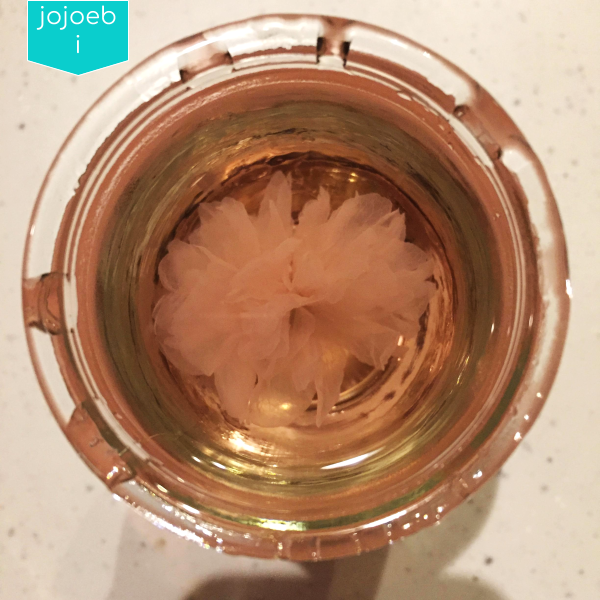 I did commiserate one blustery evening with this cute glass of white with a blossom in it. It comes in a glass, you peel off the top and can drink it as is - perfect for picnics or miserable nights in! The wine itself is OK, top marks for novelty, I'd give it a 7 for taste, it's obviously quite a small and delicate amount, not my usual size of tipple!